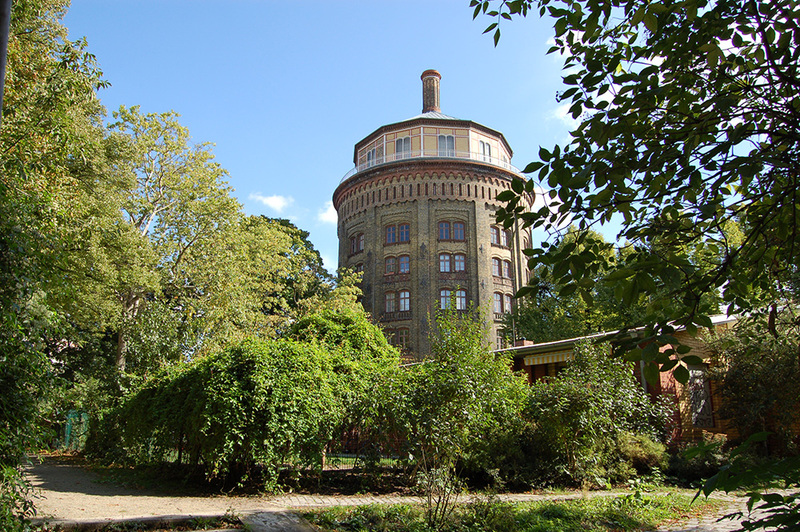 The Prenzlauer Berg, commonly known as Prenzl`Berg, is located in the northern part of Berlin Mitte and is characterised by typical traditional buildings from the Gründerzeit. 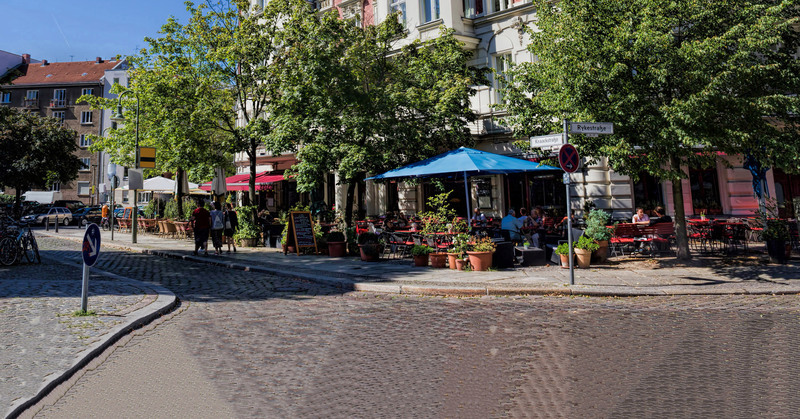 Today, this area is one of the most sought-after residential districts in Berlin – anyone who can moves here, as many popular actors and celebrities have done. 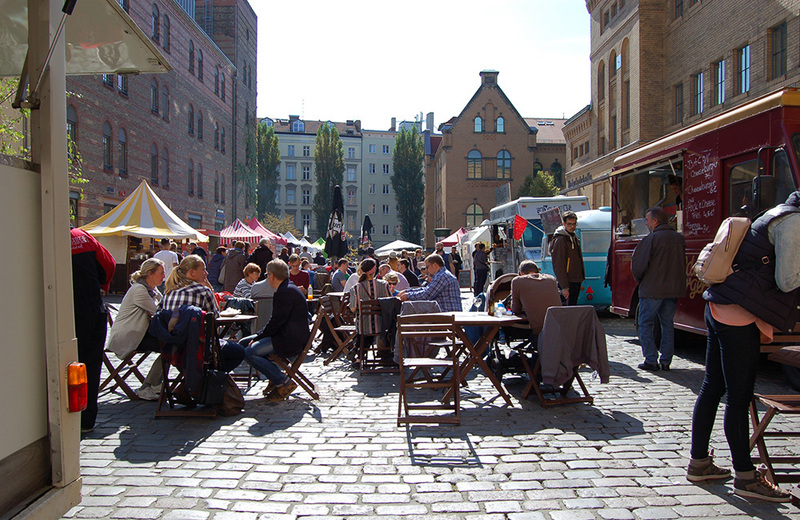 They all love the trendy area, be it to stroll around the legendary Kollwitz market on Saturdays and be seduced by the delicious food choices, or to take a walk around the corner, to eat the best Currywurst in Berlin at Konnopke which exists since 1930. The Kastanienallee starts only a few meters away. 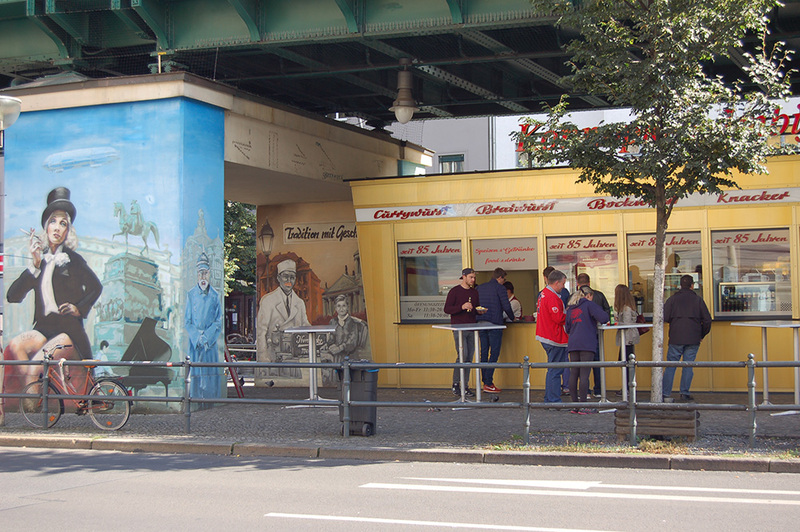 Here, countless small restaurants with original names and unpretentious snack bars of all nationalities line up. When the weather is nice, you meet outside on the benches. 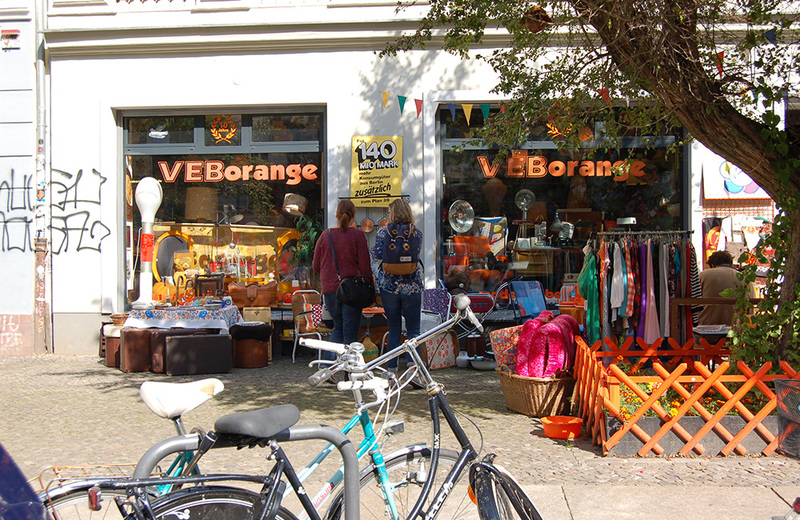 There, but also in the adjoining side streets, you will find hip shops with unique offerings. Young artists exhibit their art in backyard galleries. 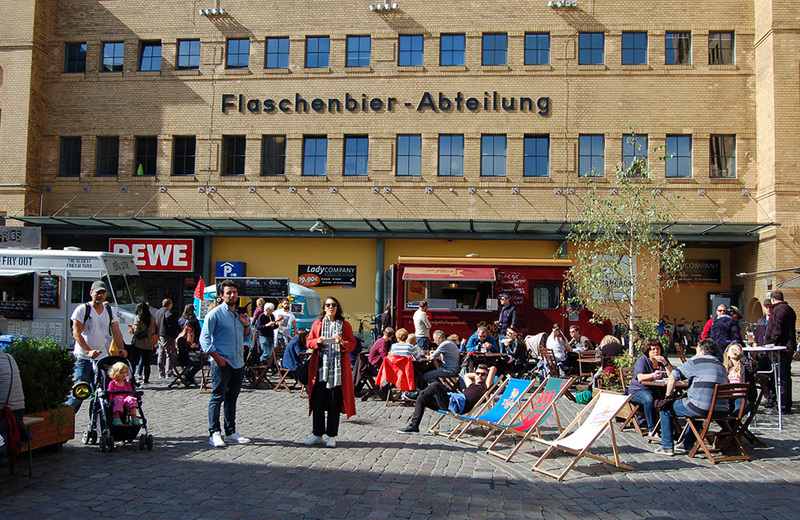 The Sunday Street Food Market recently opened new in the courtyard of the Kulturbrauerei, where a cinema is also located, and in the evenings, popular bands play in the former brewery vaults. 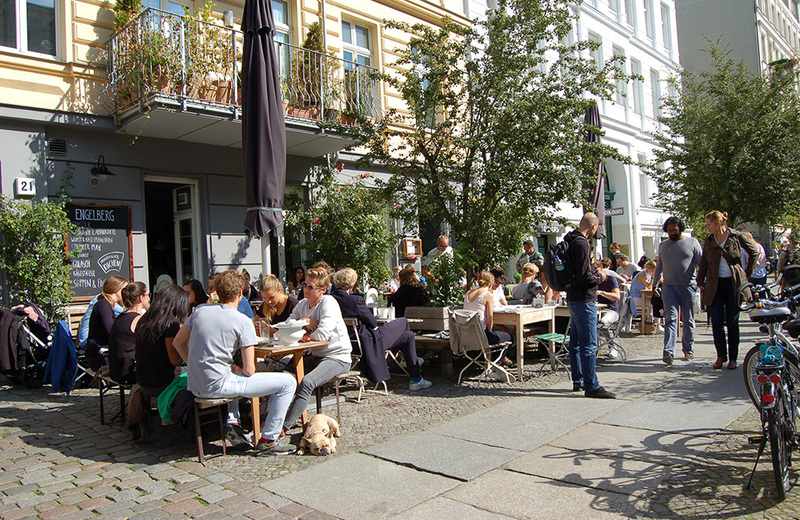 You can have the best breakfast Berlin has to offer at Anna Blume just around the corner, and delicious ice-cream down at Annamarie across the street. Our apartment house in Knaackstr.86 borders on the rear part of the Kulturbrauerei. 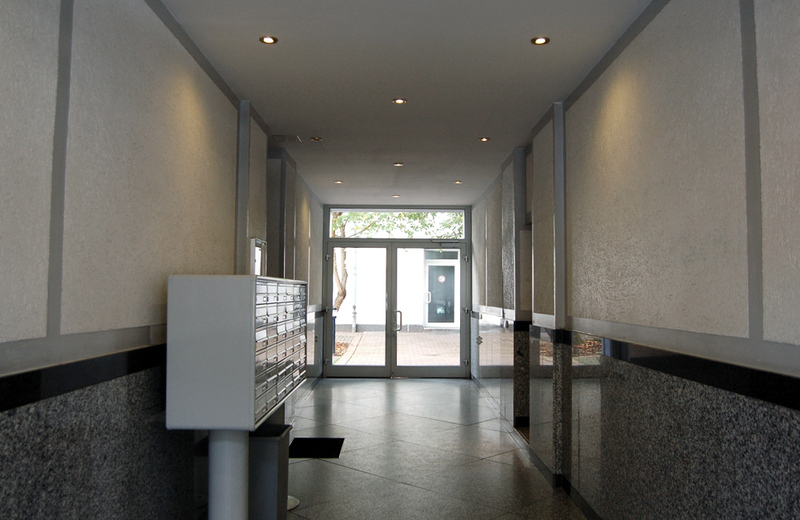 It is a very quiet residential street, like an oasis in the midst of this pulsating life. 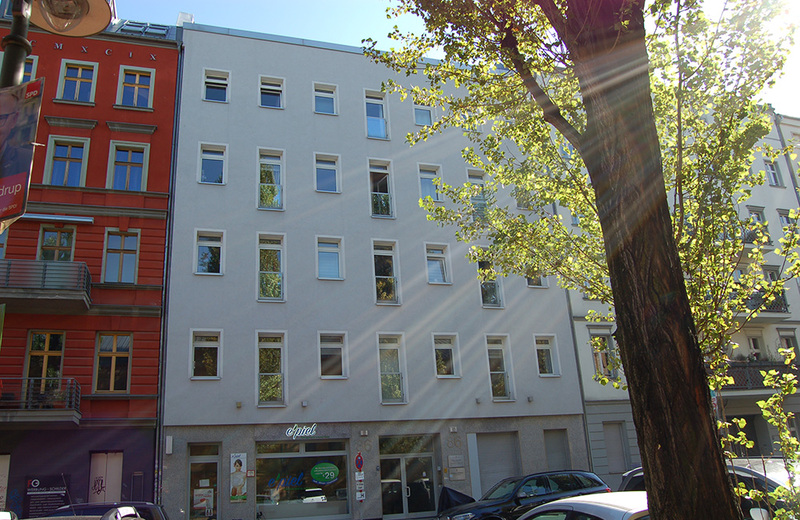 Some of the apartments in the front house look onto the Kulturbrauerei, others onto the green courtyard. 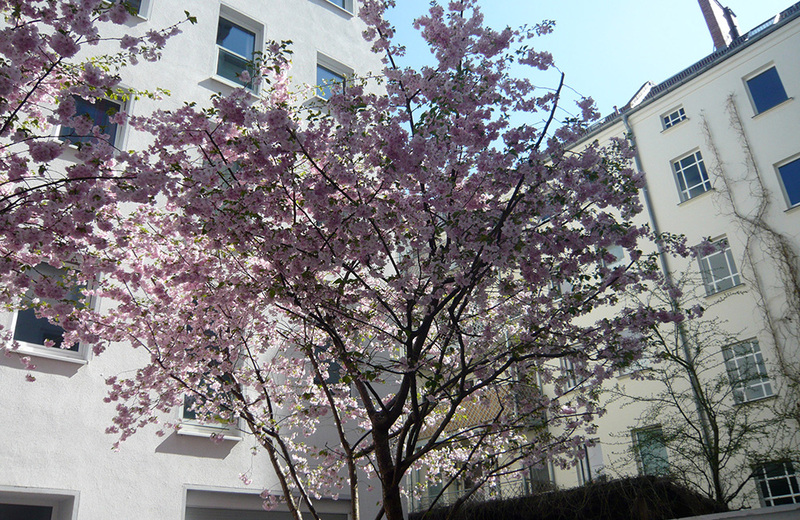 Between the front- and the rear house, planted with three large Japanese cherry blossom trees, which enchant with their splendour of flowers especially in spring. We have set up a cosy sitting area in the first courtyard, where all tenants can meet, relax or simply enjoy nature. This is also the only spot around the house, where smoking isn’t prohibited. 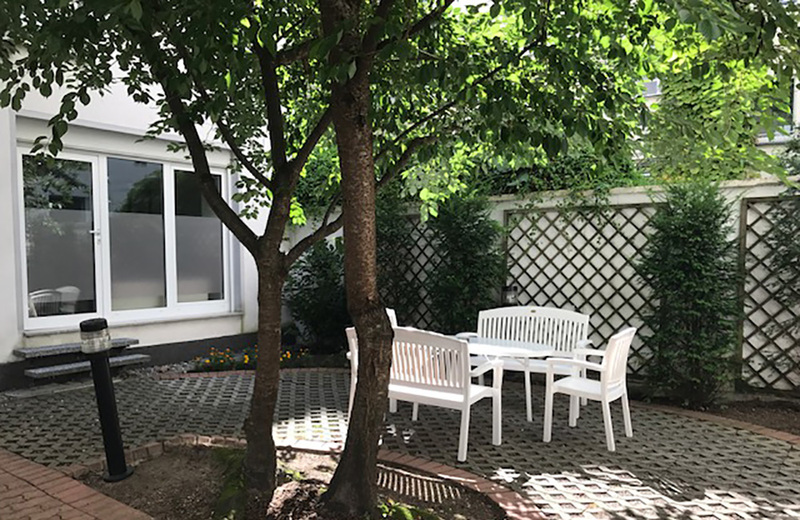 Two evergreen courtyards surround our rear house with a stately chestnut tree in the middle and pinkish flowering Japanese cherry trees. The traffic noise is far away. It is absolutely quiet here.